Mink are small members of the weasel, or Mustelidae, family. Otters, ferrets, martens, badgers, and wolverines are also members of the Mustelidae family, and distantly related to minks. These little carnivores are semiaquatic, and spend much of their hunting time in the water. There are two different species, the American mink and the European mink. 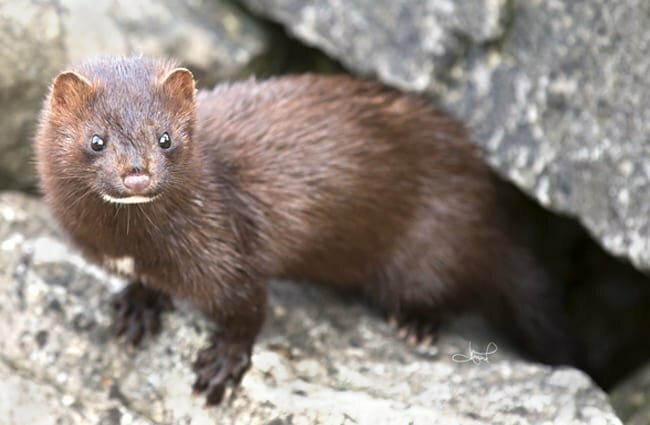 Read on to learn about the mink. 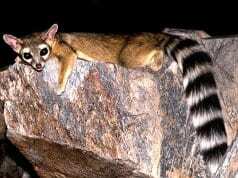 These mammals are similar in shape to ferrets and weasels. 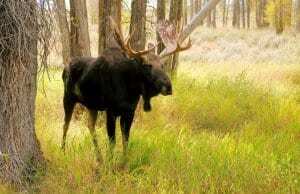 They have long, slender bodies with short legs and glossy fur. Their fur can come in a variety of colors, from dark brown to bright white, and a number of patterns in between. In the wild, these creatures generally weigh a little over two pounds at their largest. 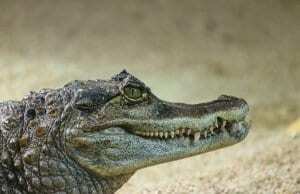 Males are approximately two feet long, and females are slightly smaller than males. Popularly known for their beautiful fur, which humans commonly use in fur coats, they are interesting little creatures. They have a number of interesting behaviors and adaptations, learn more about them below! 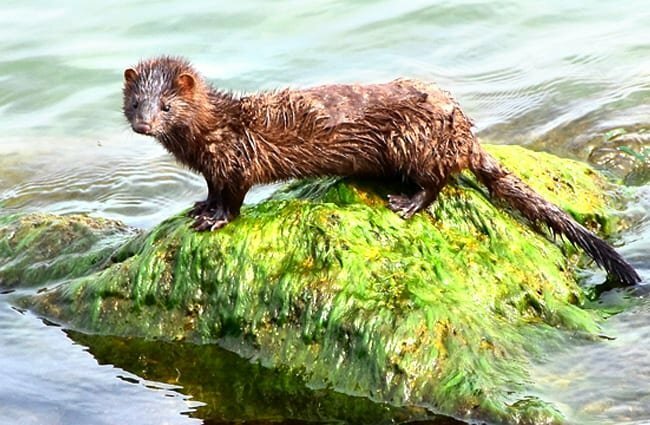 Aquatic Antics – Though they may not look it, minks find aquatic habitats incredibly attractive. They often make their dens close to water bodies, particularly riverbanks. While foraging, it is incredibly common to see them following streams or rivers, or directly hunting for food in the water. Swimming Skill – They are also quite skilled in the water. While swimming, they can dive nearly 20 ft. below the surface of the water. While cruising below the surface, they can swim up to 115 ft. horizontally. Home Sweet Home – These waterside habitats are part of the mink’s home territory. Individuals have long, narrow territories that they defend vigorously from others of their kind. Male and female territories can overlap, but males are particularly aggressive towards other males. 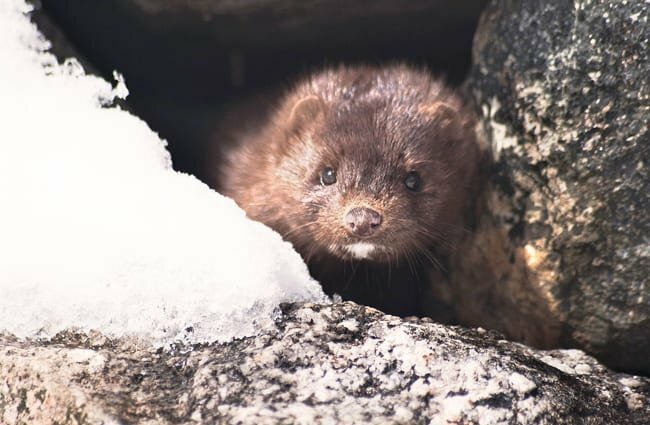 Minks choose territories with the best food sources, and most comfortable locations for dens. Mink Mustache – You can tell the difference between American and European mink by their markings. While the rest of their coats are typically uniform brown, European mink have a white patch on their upper lips. This white patch is the easiest way to tell the difference between the two species. These predators rarely stray far from water sources. 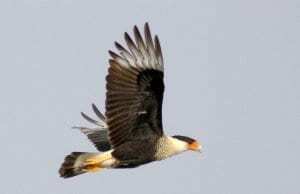 Their favorite habitats are riverbeds, streams, marshes, ponds, and lakes. Within these habitats, they establish their own territories, which they defend from competitors. In the territory, these animals have several favorite spots. A single territory will have several core areas that have lots of fish, rabbits, or other favorite prey. In their native range, American and European mink live in their respective namesakes. The American mink is native to North America, from Alaska to northeast Canada, and south to Florida and some southern states. American mink has also been introduced in South America, parts of Europe, and portions of Asia. 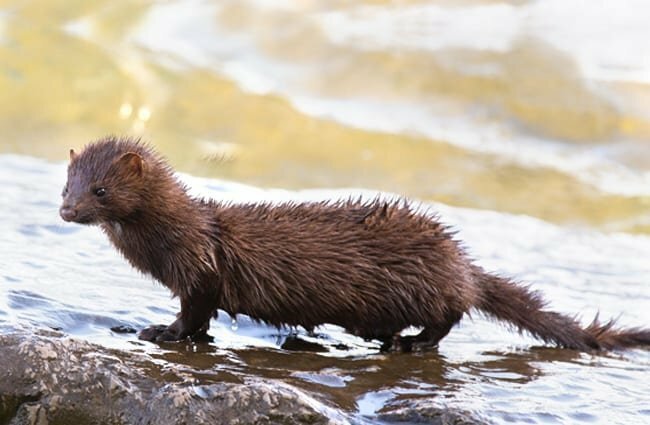 The European mink lives in small pockets in parts of Europe, and it is critically endangered. Much of the this animal’s diet consists of fish, crustaceans, and other aquatic creatures. 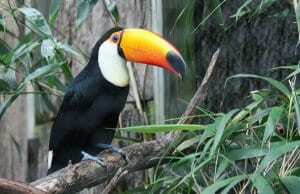 They also eat rats, mice, rabbits, eggs, birds, and other small animals. Though they are small, these creatures are voracious predators. They roam through their territory hunting for prey, and will attack just about anything they can take down. 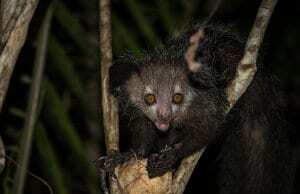 Researchers have even seen adults eat youngsters that happen into their territory. Humans have valued these beautiful creatures in the fur trade for many decades. However, the vast majority of fur comes from farmed animals rather than wild-trapped ones. 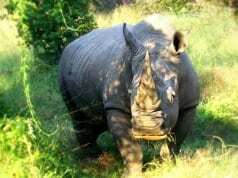 Humans have not threatened the overall population of American species. 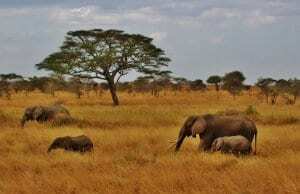 Their overall numbers are stable, but humans have reduced the numbers of different subspecies and local populations. 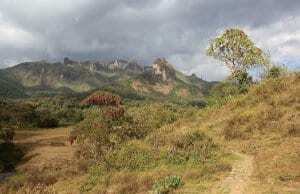 Humans in some areas hunt them to protect the local fish populations. The European mink, on the other hand, is critically endangered. 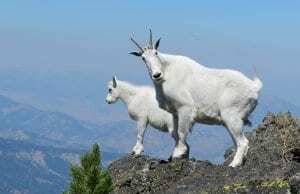 The primary threats to their survival are habitat destruction for farming and logging, hunting, damming waterways, invasive species, and pollution of waterways. Sadly, their population is still decreasing. Farmed mink have been partially domesticated. Their docile behavior, fur quality, and color are features breeders focus on. In some areas, humans train farmed these smart creatures to assist in hunting pests. 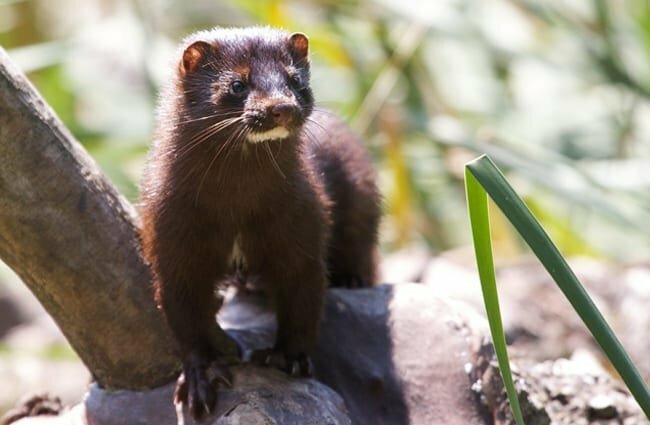 American mink are sometimes kept as pets, but their wild cousins can be relatively aggressive. The domestication process of these animals is really more focused upon fur production than for pet purposes. People usually keep these creatures as “pets” for vermin removal. Partially domesticated mink thrive in a farmed or zoological setting. 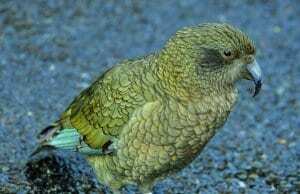 They breed prolifically, and in human care they can survive up to 10 years. Their diet consists of rodents, small mammals, eggs, and dairy products. Because these creatures are quite intelligent, it is important to provide them with a variety of environmental enrichment opportunities. They thrive with the presences of toys, nest boxes, puzzle feeders, and positive reinforcement training. These creatures are solitary, and defend their territory aggressively. Males and females can have overlapping territory, but usually only interact while breeding. They patrol their territories for intruders, and use feces to scent mark throughout the territory. Most of their activity occurs in or near the water, and they spend much of their time foraging for food or resting in their den. Most individuals breed in February or March. Their gestation period is 39 days, but they can delay development when necessary. 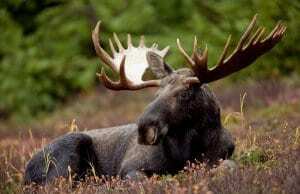 This means that their gestation period can range anywhere from 39 – 76 days. Litters contain 6 – 10 offspring, called “kits.” The mother weans her kits when they are 5 weeks old. 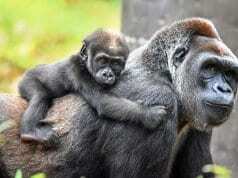 They begin to hunt for themselves at 8 weeks, and reach sexual maturity at 10 months old. Streambeds, lakes, ponds, rivers, etc. Humans, birds of prey, bobcats, coyotes, wolves, etc.